In the continued reality where the truth involves far more official coordination than anything Agatha Christie ever imagined, the UNESCO global aspiration for media/digital education as the be all and end all for Everyone really does say flat out–“we need to get the media involved.” That would mean newspapers, broadcast networks, film studios, all aspects of the entertainment industry plus the computer tech and software companies and broadband providers like AT&T. Not a presumed coordination but an explicit one. Just chock full of those generous public/private partnerships where the only risk is to the already put-upon taxpayer. This is more quoted language from that 2010 “Media Literacy and New Humanism” that literally laid out how to use education globally to get to every dream of transformation Uncle Karl ever had. Literally dovetailing not only with the Marxist Humanism vision we have now tracked in the West from the early 60s on but also the rather horrific UN vision of the Knowledge Society where we all organize around central cultural themes. http://www.invisibleserfscollar.com/all-that-is-solid-melts-into-air-but-does-it-really/ lays it out if you can bear the details. Today is more about how and the fact that US Education Secretary Arne Duncan is clearly behaving as if the obligation to coordinate as a partner were already in place. http://blogs.edweek.org/edweek/state_edwatch/2013/06/arne_duncan_decries_imaginary_attacks_on_common_core.html is the story on yesterday’s speech to the Annual Convention of the American Society of News Editors. The one where he explicitly laid out the role he expected of the media in sending out the administration’s desired message on the Common Core. I will point out if you read the speech that he is describing the 21st Century Skills focus as the actual CC implementation. And he keeps referring to deep learning. 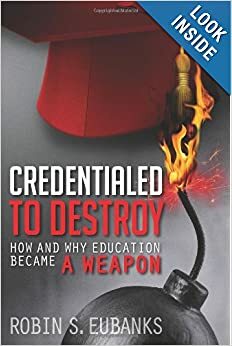 And since I have UNESCO’s definition of curricula from its mischievous report and it does dovetail with what the federal government is financing or urging on, we will use that instead of his false gauntlet of textbooks (which by the way the feds have been financing for years through their math and science grants through NSF). Hybrid learning is that blend of digital computerized, Benjamin Bloom Mastery Learning of skills and outcomes coupled to a physical school with interactions with real students and teachers. What is being called Blended Learning or the Flipped Classroom in most of the US hype. With lots of lucrative funding for the companies pushing this model. Courtesy of You Know Who. b) the proposal to develop quality standards applicable to the messages and the media, which would contribute to making communication professionals more aware of the effects of their work. Honestly if you can get that kind of direct and explicit and intentional coordination of the “media, professionals, legislators, and civic and political institutions” aligned to what is allowed or not in the classrooms via the real Common Core implementation. Then you throw in all the affective Big Data on frustrations and motivations that hybrid learning and gaming throw off and no one will ever need to actively censor again. Talk about nipping in the bud. And Arne’s speech yesterday and Karen Cator’s to the New Media Consortium a few months ago make it quite clear the era of this active coordination of messages and knowledge itself and communication to the serfs, I mean citizens, is upon us. Except those ideas are actually almost two centuries old. Uncle Karl really is back globally. And coming in through ed reforms and hype over Sustainability and Climate threats. Any excuse for governmental planning. And lifelong deference from the planned for.